Add a special touch to your neckline with this infinity pearl and diamond pendant! 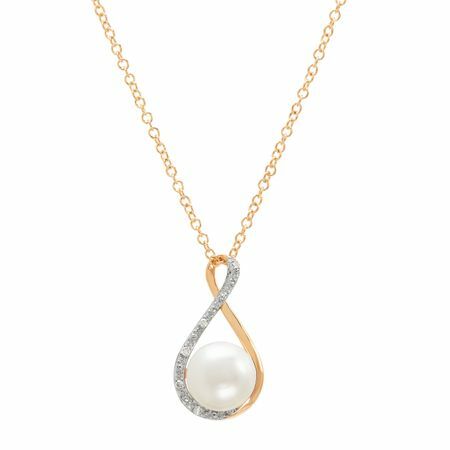 An 8-8.5 mm freshwater white pearl is centered among a 10K gold elegant infinity sign setting, accented with sparkling round-cut diamonds. Piece measures 3/4 by 3/8 inches. Comes with a 10K gold 18-inch cable chain with a lobster clasp.